Efficient and organized meetings among multiple stakeholders are critical, especially as the modern workplace becomes increasingly dispersed. A 2017 report estimated that as many as 3.9 million U.S. employees worked from home at least half of the time. The increased prevalence of remote work and employees spread across geographic locations creates unique communication challenges. While digital meeting video conferencing technology helps to bridge the gap, these meetings aren’t the same as those that happen in-house, face-to-face. It can take time to find the best format and structure for the company’s digital meetings, the following rules serve as “inspiration” for HR employees who are trying to find a succinct and productive process for the organization. You need a digital meeting system. There are many platforms and hardware integrations available, so first consider your organization’s needs. Check out Business News Daily’s guide to video conferencing software for an in-depth rundown of selecting and installing the correct system. Once your meeting system is set-up, designate a meeting coordinator to ensure all the tools and platforms run smoothly. Coor dinators should test all digital functionalities consistently. An on-site IT team would be a good fit for this task, however, they can also be a second line of defense, with the office manager taking care of things unless an issue arises. When choosing the best meeting technology don’t forget about video functionality. Most platforms and software include a video feature, so make sure your organization uses it. 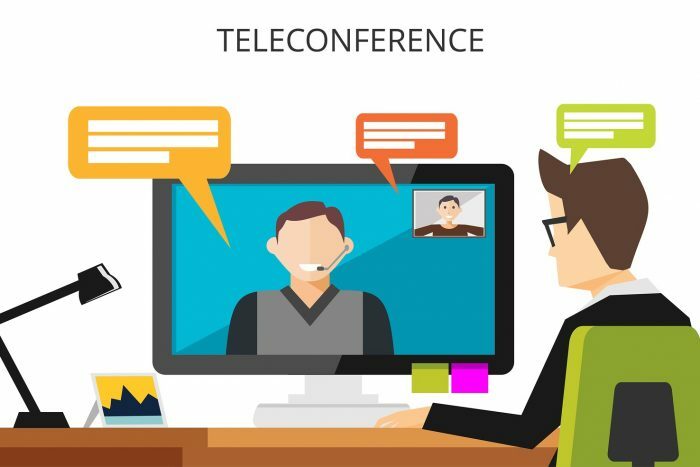 A recent Forbesinsights survey shows that 92% of executives believe that expanded use of video conferencing has a positive impact on performance, while 80% say video is the new norm for their internal teams and 84% use video collaboration with external stakeholders as well. Planning for digital meetings is essential. It allows participants to think ahead, formulate ideas and questions, and create content. More importantly, it ensures that everyone in attendance can take full advantage of the time together because they can’t simply “take it offline” with a quick post-meeting chat outside the conference room. Technical info: How to join the meeting, what kind of device to use, and backup plans, etc. To make this easier and most efficient, create a template for all employees. Keep it in a place accessible to all workers – company intranet, Google Drive, Dropbox, etc. — with other important docs, where it can be accessed by everyone, regardless of where they’re based. Employees across time zones will make it a challenge to schedule meetings; someone will always have to bear the brunt of an inconvenient meeting time. So if it can’t be avoided, spread it out. Don’t make one team or person consistently get up early or stay late. Instead, alternate meeting times so that everyone shares the load. With global businesses, it may not even be possible to have the entire team on the call. In this case, schedule multiple meetings, create recap notes, or copy team members on essential emails. Better yet, record the meetings and then send out the video for those who weren’t there. You can even upload and share them privately via YouTube so all meetings can be found in one place. Beyond scheduling, develop meeting etiquette instructions. This should cover everything from, taking a hard stance on late sign-ons to telling participants how to comment or ask questions. If you have a hybrid office, with some employees in-office and others remote, don’t forget to include your remote team members. That may sound like a no-brainer, but 57% of remote meeting participants say they’ve felt forgotten about after they’ve dialed-in, according to a survey of 250 workers, while 60% of the in-office meeting participants feel they actively involve remote team members. To maintain the engagement of remote workers, HR should remind managers it’s critical they make this inclusion a priority. Don’t let this disconnect drive a wedge between in-house ad remote employees. Make sure meeting coordinators acknowledge all participants and focus on inclusion. Digital meetings can be hard to keep on track, so appoint a moderator during the meeting to keep the time and pace. Limit distractions, following a mute-all practice during presentations to minimize noise from participants. When someone else is speaking or presenting, encourage questions via chat, or at the end of the session, to avoid interruptions. For meetings longer than an hour, designate short five minute breaks for participants to use the bathroom, or refill drinks. Remote members might feel shy to leave a digital meeting than they would in person since they have to walk away from a camera. Audio delay, echoes, broken links, video glitches, background noise, wifi issues—there are so many details that can go wrong and cause a digital meeting to fail. Technology will inevitably have glitches, but with a Plan B, you can make sure the meeting finishes successfully. Remember that a backup plan can be as simple as having one phone number (or office number) for a conference call. If your video conferencing system goes down, have a free backup system that your team can jump on to, like Google Hangouts or Skype. Even a chat channel can work as a backup if needed. Make sure everyone knows about the backup plan, have it on meeting agendas, or send out an email with the protocol so everyone is prepared. Digital meetings are the future of business collaboration, but they require preparation and strategy to keep the team on task and make sure everyone is included. Use these five rules to ensure that your digital meetings are successful and productive, simply modify as needed for your organization’s particular needs.